Tall Timbers Adventure Tours offer a unique attraction for visitors to Tasmania’s North West. Experience Australia’s largest cool-climate rainforest, the Tarkine wilderness, led by the region’s most experienced guide in a luxury four wheel drive, or take a spectacular aerial tour of one the world’s most rugged and diverse regions with our helicopter scenic flights. Tall Timbers Adventures offers a range of tours including premium, low-cost and themed options. Travel along the Tarkine Drive and experience the peace and serenity of Julius River, the lush rainforest of Lake Chisholm, and the rugged beauty of the Edge of the World where the Southern ocean collides with the coast. See native animals, rare birds, towering trees and beautiful flora. All tours include morning tea, lunch (gourmet lunch including Tasmanian produce, beer and wine on premium tours), tea/coffee, pick-up and drop-off from Tall Timbers Hotel. All tours are subject to minimum passenger numbers and alternative departure points can be arranged. Located at Tall Timbers Hotel in Smithton, a one-hour drive west of Burnie (86 km) and a 15-minute drive south-west of Stanley (12 km). Join us on a spine-tingling tour of the mysterious town of Balfour. A barren place now, yet once a prosperous mining town deep in the Tarkine region of the rugged North West. Now all that remains are ghostly relics and amazing tales of our early pioneers. Tour includes; morning tea, packed box lunch and water. A minimum of 4 passengers is required to operate the tour. This tour will delve into the topics of Aboriginal Heritage on the North and West Coast of Tasmania. The frontier conflict and its history are marked with stories of violence and cruelty. Our experienced guide will bring to life the history of this time delivering an insight into the history of the region and the significance of the area to its people, both past and present. Join this tour to deter yourself and we will leave you to come to a conclusion yourself. Tour includes; morning tea, gourmet lunch, water and soft drink. A minimum of 2 passengers is required to operate the tour. Our full day tours take in a range of attractions in and around the unique Tarkine Wilderness. Your guide will be more than happy to tailor the tour to your specific areas of interest. Morning tea is served en-route and a gourmet lunch is also provided and enjoyed in the forest. Tall Timbers Adventure Tours will take you on a journey deep into the heart of 'Tiger Country' - the Tarkine wilderness. From the comfort and safety of our luxury four wheel drive, your experienced guide will show you the Thylacine's last known hiding spots and re-tell the tales from those who have been fortunate enough to witness a Tasmanian tiger in their lifetime. We can't guarantee you will see a tiger but this beautiful yet rugged rainforest is also home to wallabies, wombats, quolls, rare birds and the enigmatic and endangered Tasmanian devil. So whether or not you unearth the whereabouts of the Tassie tiger, you are in for an amazing day in this unique and pristine environment, exploring wild coastlines, ancient forests and experiencing breathtaking scenery. 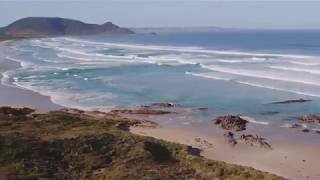 Experience the remote north-west of Tasmania from the air on a Tarkine Wilderness Helicopter Tour. You'll take in the spectacular coastline, the Tarkine rainforest - southern hemisphere's largest cool climate rainforest - and view the Woolnorth wind farm. Tour as per "Full Day Tarkine Wilderness Tour" except for the following: includes boxed snack lunch only.